Dog owners and dog lovers unite. Montreal’s city council voted 37-23 in favour of a bylaw banning new pit bulls and other dangerous breeds from living within city limits. As of Monday, Oct. 3, Staffordshire bull terriers, American pit bull terriers, American Staffordshire terriers, mix of the mentioned breeds and any dog that shows characteristics of these breeds will be banned from finding a new home. How is that going to work? Who judges whether a dog shows certain characteristics—the police? Shouldn’t they be solving murders and dealing with more important things? 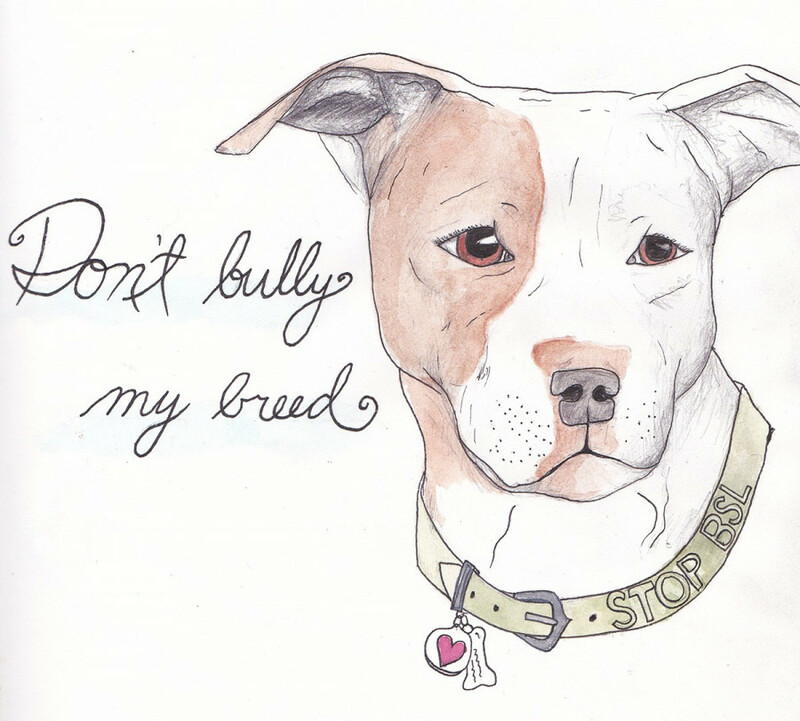 The breed specific legislation is discriminatory, targets bad dogs when they are not always at fault, it is unenforceable by the law and should be overturned. The dogs do not know what is happening to them. They don’t keep up with the news like us. How can you tell your furry son or daughter that their breed is being euthanized out of Montreal? In June, a pit bull-type dog attacked and killed Christiane Vadnais, who was 55. The owner of the dog said he was aggressive in other instances. The dog has since been euthanized, understandably. Not that I agree with euthanizing a dog, but there is no doggy prison. The dog killed someone, the only way to ensure that it doesn’t do happen again is by killing it. That said, it’s unfair to discriminate against all dogs because a few aren’t well trained. But since the legislation is going forward, dog owners and advocates refuse to sit—or lie down. Organizations, such as Freedom Drivers: Animal Rescue Transports, are asking for our help to transport these so-called dangerous dogs and move them out of province before it is too late. We were taught at a young age to help those that are in trouble. Is it right for us to stand back and do nothing as any dog that fits a vague description is left in shelters to be euthanized? Mayor Denis Coderre said he wants to keep the citizens safe as he believes this bylaw will help. Since the start of the year, 37.8 per cent of the 137 serious dog related injuries and deaths were caused by a dog that fits the description of a pit bull. I agree we should do something about this, but can we go about it a different way? Tackling dog fighting is a root problem we should stop. Dog fighting happens. It is present in Canada and dogs are forced to train every day and fight against other dogs. And the dog that is used the most is the pit bull. No wonder they have such a bad rap. Instead of jumping to conclusions and banning all dangerous dogs and pit bull-like breeds, the Mayor and the boroughs should be looking into dog fighting rings. They should also investigate puppy mills, dog breeders (to ensure that they have a proper permit), and focus on the people that are buying these dogs. The difficulties of the new law don’t only apply to dogs. Current owners affected by the breed specific legislation will have to follow certain regulations. They must apply for a special permit that costs $150, the dog must be muzzled when outdoors (because who wouldn’t be more scared of a banned dog with a Hannibal Lecter mask), the leash must be no longer than 1.25 metres unless they are in a dog park (where they can’t play fetch because of the muzzle), they must be watched at all times by someone 18 and over (because we’re so mature), and the dog must be wearing the medallion issued by the city proving the dog is registered. The city is basically saying: leave your dangerous dogs inside where they can become more aggressive. Alanna Devine from the Montreal Society for the Prevention of Cruelty to Animals said this bylaw will do nothing other than instill fear in others. People will see the dogs and judge them without even knowing that they can be the sweetest dogs ever. What’s that cliché that tells us not to judge something without knowing the whole story? Oh right—don’t judge a book by its cover, Mr. Coderre. The SPCA has since filed a lawsuit against the city for the newly adopted bylaw. I will be the first to say that dogs can be dangerous. All dogs and all breeds can be dangerous if they are raised wrong. Why not ban bad owners? But hey, we love Montreal, don’t we? You can read the full bylaw on the City of Montreal’s website.